Look at this smiley face? :) ? 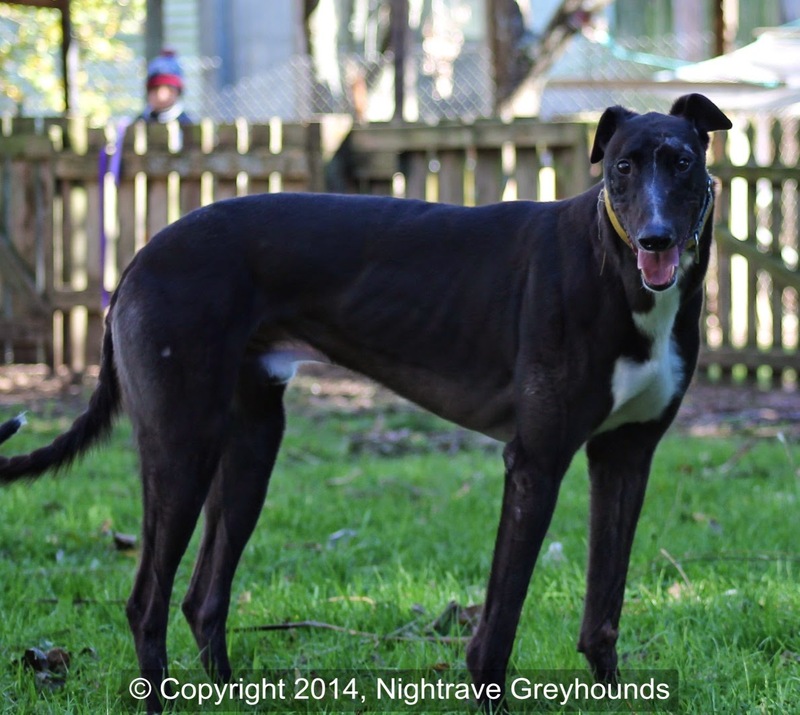 This is 3 years old Jack (Ritza Jack), a recently retired middle distance racer who is now looking for a loving retirement home. Jack is being homed privately by his trainer Brendan Cole and his foster carer Danielle Irving, who have asked us to assist in finding a good, responsible and loving home for this special boy; we are happy to feature this amazing dog on our blog and help him find a wonderful retirement home he deserves. This impressive dog has had only 32 starts in middle distance races, he won 10 of them and placed in another 9 - amazing athlete with best of temperament. Sadly, Jack's stellar racing career was cut short by an accident where he got a cut on his head. 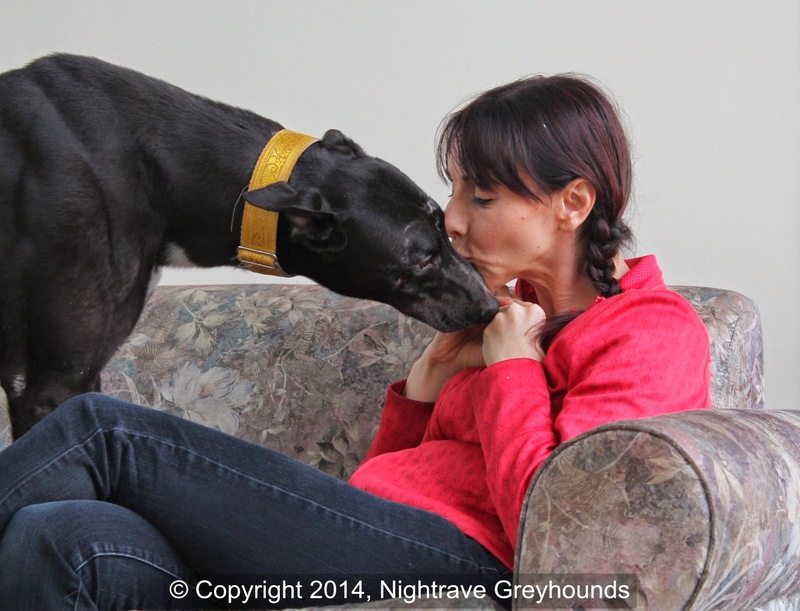 His trainer had this fixed by the best greyhound vets in NZ, with no expense spared - scars are well healed and this causes Jack no trouble at all (although, according to his foster carer, he can be a bit 'head shy' at times). Jack is handsome even with his scars - a lovely, quiet , clean and very cuddly doggie. Jack is a big 37kg boy - he has been already neutered and is ready for his new life as a pet. Jack is precious, soft, cuddly , a honey of a dog. He loves loves loves his bed and can sleep for hours -a true couch potato! He adores his cuddles and is exceptionally affectionate. He is very people-focused and will choose to be with you whenever he can - at the same time, he is perfectly fine being left alone at home, so would be great for people who go to work and need a dog who will be happy to be alone at home during the day. He loves his food, is not fussy at all, and would do anything for treats. Jack is also crate-trained and toilet trained - very clean and polite dog, it took no time to toilet train him. Although a perfect gentleman who is in love with his bed, Jack has his very playful puppy moments sometimes, and loves playing with other dogs. 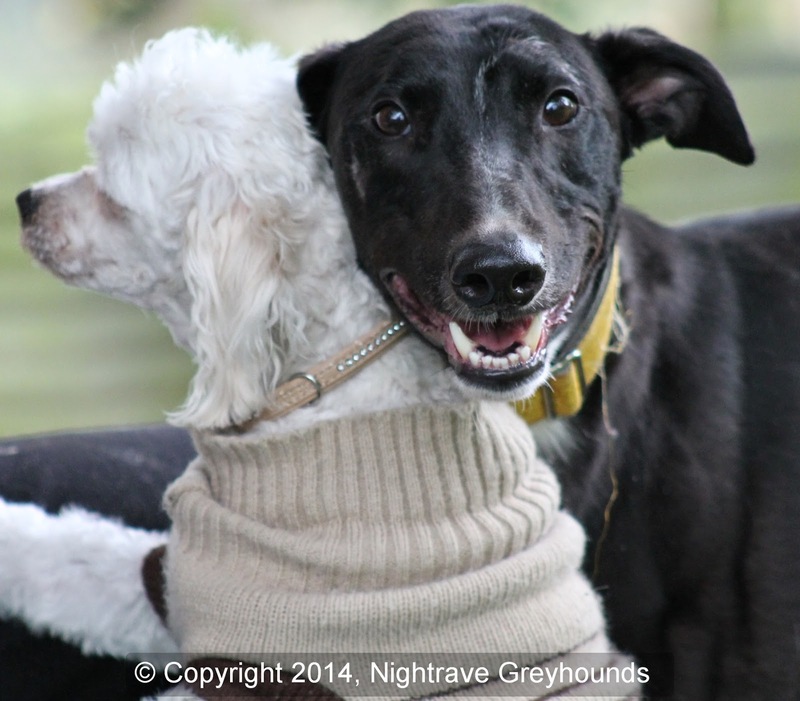 :) Jack has been socialized with dogs of all breeds and sizes out and about, and currently shares his foster home with a few other greyhounds and a small white Bichon Friese. Jack would find cats a bit too much of a temptation to live with (so homes with no cats please). He is interested in cats out and about but can easily be corrected to leave them and walk on. He already recalls to me and would be an offleash dog in time and with recall training by his new owners. Jack is very responsive and attuned to his person(s). Jack comes across as little shy and unsure of himself around new people as he is naturally very soft dog, however this is getting better every day and now he is only shy for about 5 mins before he will come to you for a pat. He prefers quiet people and , being a softie that he is, gets a little worried if you raise your voice. He is fine with my three kids but I think he would like a quieter house than this one. He is totally in love with me now and will bond very well to his new owner, he seems to be more confident around women than men but that could be because women are softer spoken. Jack's scars are all healed up and I think he is a handsome boy even with them -I call him my Black Beauty! 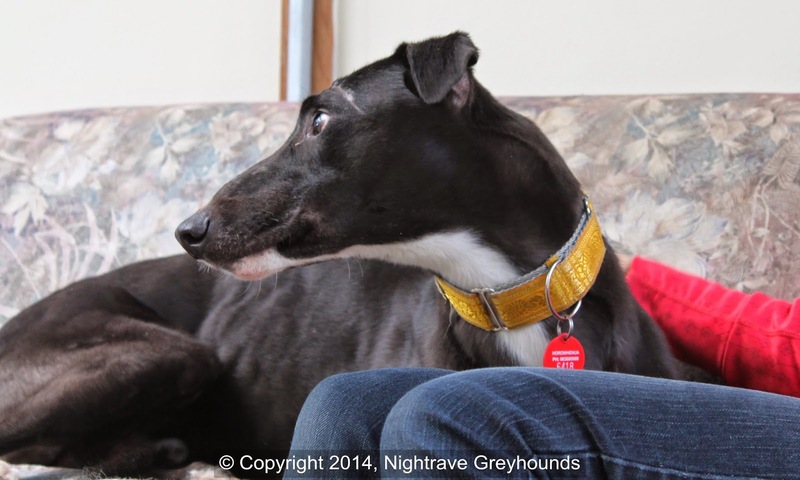 Jack is a soft beautiful soul that deserves a first class home. It will be a hard job to give him up - he has stolen my heart. I would like a nice quiet home for Jack, a home where he will be given time to grow in confidence, and given loads of reassurance. Older children or quiet ones are preferable, maybe an older couple, definitely a quiet and relaxed household. 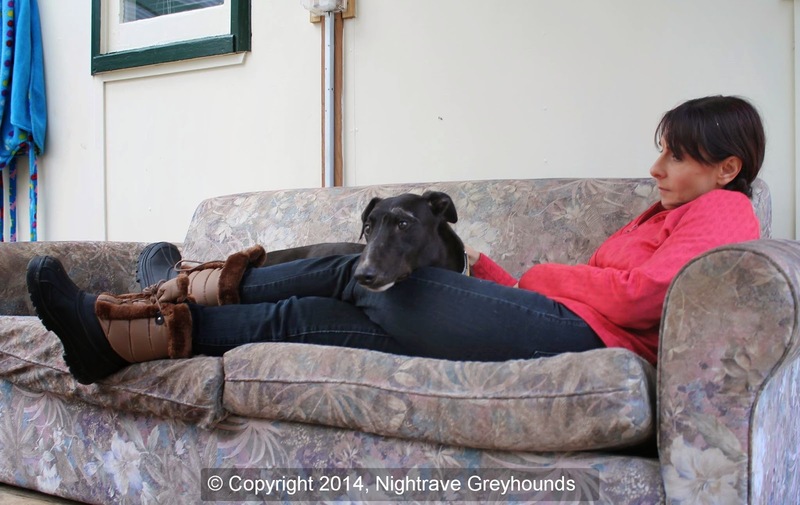 We thought to see whether any of our Nightrave friends would be interested in Jack- but of course his trainer will consider any good and responsible home for him. We will be more than happy to help with settling in, advice , training or whatever else new owners might need. Jack will go to his new home health checked, desexed, microchipped, vaccinated and registered.